one of the world's foremost thinkers about leadership and a pioneer in innovative methods of inspiring people and organizations. The former CEO of a Fortune 100 company and an acclaimed business school professor, Lance Secretan works with a gifted worldwide faculty changing the lives of people and transforming companies and revolutionizing the way they think about leadership. Thirty of Fortune’s Most Admired Companies, and 11 of Fortune’s Best Companies to Work for in America, are his clients. He is the international best-selling author of fourteen books on leadership, an award-winning columnist, teacher, philosopher, corporate coach and mentor, and one of North America's most sought-after keynote speakers, retreat leaders, and business advisors. Voted one of the nation's top ten speakers, and one of the “top 21 speakers for the 21st century” (Successful Meetings), he addresses audiences around the world. Lance was Chairman of the Advisory Board of the Special Olympics World Winter Games and former Ambassador to the United Nations Environment Program. In recognition of a lifetime of caring about people and the planet, Lance was awarded the prestigious International Caring Award (often referred to as the US equivalent of the Nobel Prize). Lance has several degrees including a Masters in International Relations and a PhD from the London School of Economics. 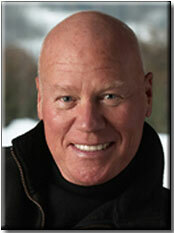 He is author of ONE: The Art and Practice of Conscious Leadership, Inspire! What Great Leaders Do, Reclaiming Higher Ground: Creating Organizations that Inspire the Soul, The Way of the Tiger: Gentle Wisdom for Turbulent Times and 10 other books. Six thousand years ago we were one. We shared the same stories and myths, mysteries and magic. The classical Greek philosophers began the process of separate thinking. The great Renaissance thinkers picked up the pace and the genius of our modern scientific and technical era has unraveled this precious human asset. If we continue to separate ourselves—liberal//conservative, parent/child, Muslim/Christian, labor/management, black/white, young/old, rich/poor—we will wither as a society, perhaps as a species. Conscious Leadership inspires self and others to re frame what we see by making the connections between all the parts—countries as kin, corporations as communities, employees as whole humans, religions as partners rather than competitors. In this knowing, we gain a greater understanding of how all our actions touch and connect with everything else. Goal:	Become a Conscious Leader by practicing the CASTLE Principles—Courage, Authenticity, Service, Truthfulness, Love and Effectiveness. •	Learn how to radically improve our Effectiveness. Inspirational and conscious leaders are guided by six principles: Courage, Authenticity, Service, Truthfulness, Love and Effectiveness. These are the CASTLE Principles. As a professional, you know and excel at the “hard stuff.” In his work with clients, Secretan discovered that managers, service professionals and leaders often faltered because they tried to achieve goals in ways that were masterful and efficient, but not necessarily inspiring. The missing component was Conscious Leadership. The CASTLE Principles were developed as a result of employee research and feedback about leadership weaknesses that he then reconstituted into leadership strengths. They are not merely “soft skills,” but are actually specific ways of being that produce tangible and desirable business results. Thirty of Fortune’s Most Admired Companies, and 11 of Fortune’s Best Companies to Work for in America, are Secretan’s clients and these principles are now widely practiced by hundreds of thousands of people. Goal: We will work together to clearly define the CASTLE Principle in question, identify barriers that block the masterful practice of each Principle, and identify ways to increase your ability and skill in exemplifying each CASTLE Principle. The personal breakthroughs you experience in this workshop will last you a lifetime. •	Learn how to support others in living the CASTLE Principles.